A rainbow baby represents that the beauty of a rainbow does not negate the ravage of the storm of losing a child. When a rainbow appears, it provides a family with joy, while honoring the past storm, and acknowledging that the family is still dealing with its aftermath. A rainbow shows us beauty and light that has appeared in the midst of the darkness. In simple terms, a ‘Rainbow Baby’ is a baby who is welcomed into a family after the loss of a previous baby, due to miscarriage, stillbirth or premature birth. The light after the darkness. I have been very lucky in my life. I’ve had pretty routine pregnancies with very few hurdles, and my husband and I are fortunate to have two beautiful, amazing children. But I know for many, this road can be long and quite difficult. This year, Corie Walker Photography is introducing the Rainbow Baby Initiative and giving back to those dealing with this devastating loss. 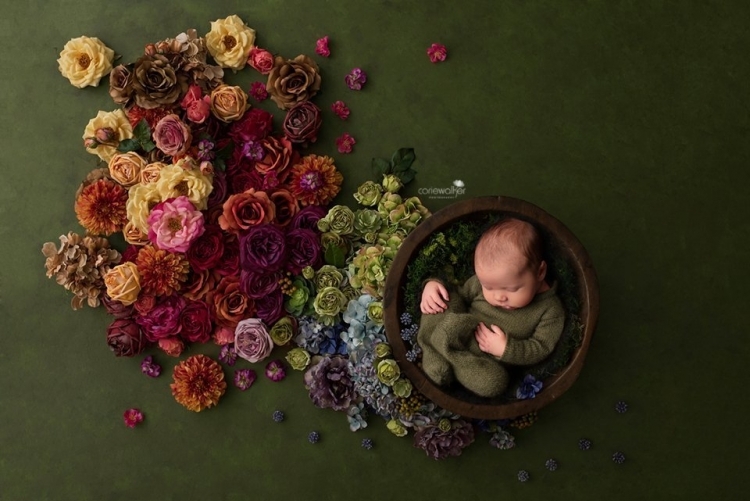 These gift sessions enable me to marry my love of newborn photography with my longing to give back, all while initiating the discussion of the very sensitive but important topic of infant loss. I am able to offer one free Rainbow Baby newborn session per month. To be considered, please fill out the application linked below. Recipients will be selected approximately 6-8 weeks before their due date, so applications must be submitted as early as possible. To help raise support and awareness for infant and pregnancy loss, I will be sharing these stories and images on social media. To be considered for this opportunity, I ask that recipients be willing to share your journey with me and my followers. As a courtesy to other local photographers and applicants, I ask that you do not apply for this session if you plan to book or have booked a newborn session with someone else. Thank you.